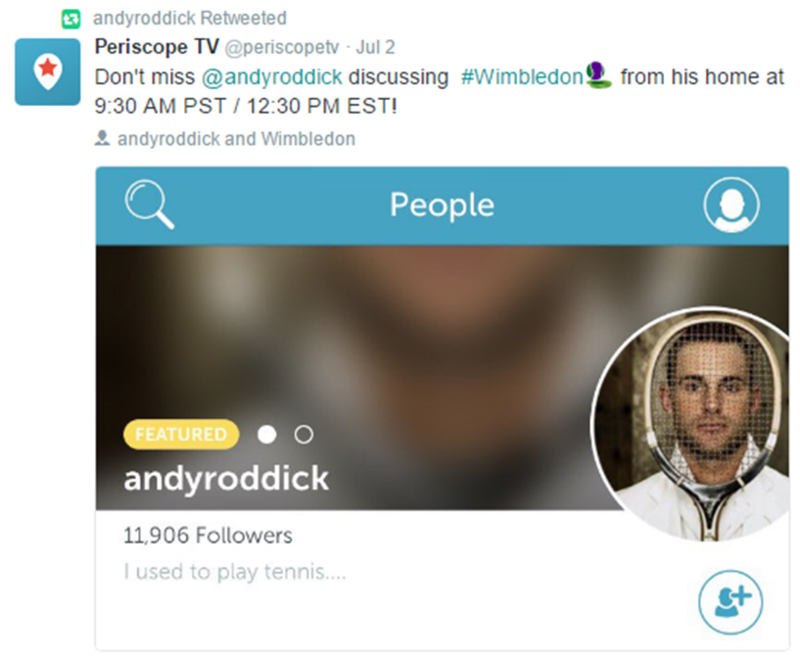 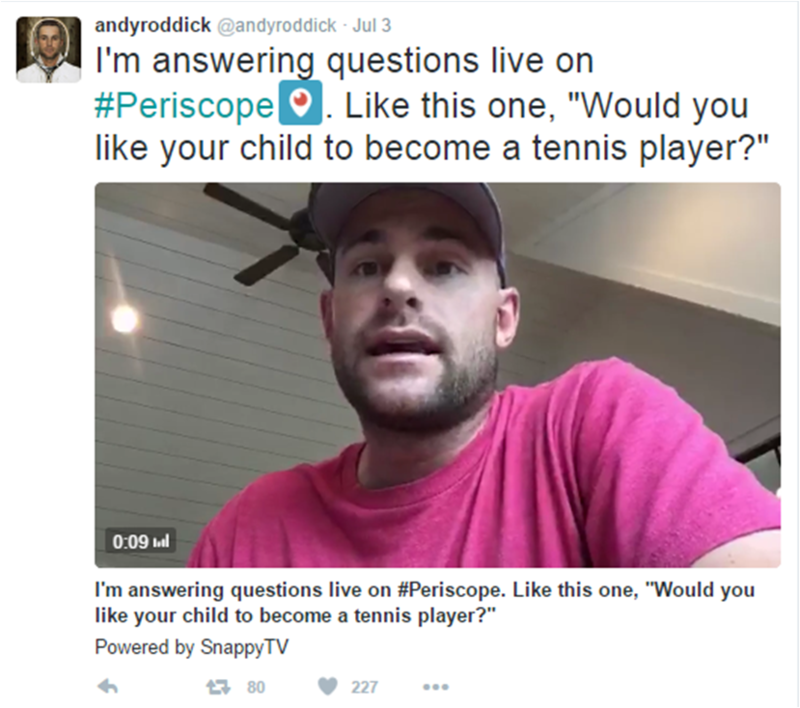 Twitter, Wimbledon and Andy Roddick - live streaming at the tennis! 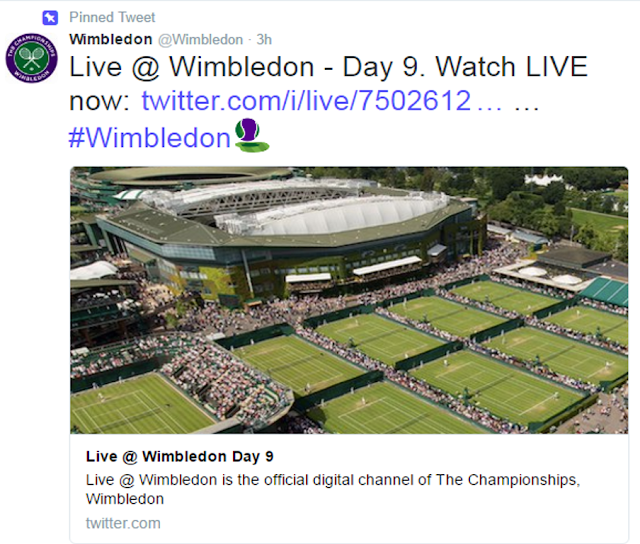 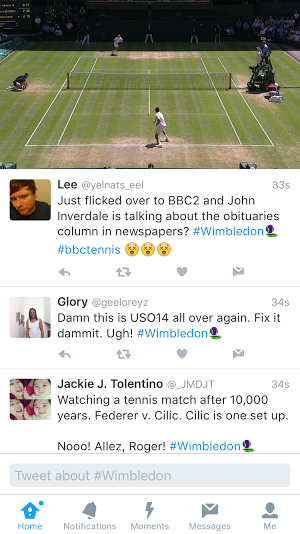 Twitter have just started their first live stream Sports broadcast direct from the Wimbledon tennis championships. The Wimbledon Twitter live stream features the matches of Roger Federer v Marin Cilic and Milos Raonic v Sam Querrey as well as discussion, interviews and updates from other Wimbledon games. 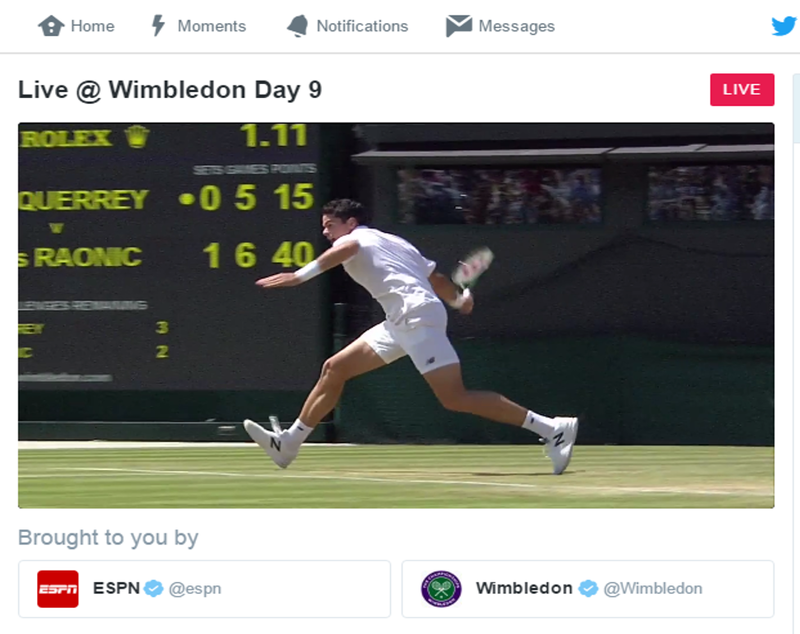 Twitter have offered live streaming for users through Periscope for a while, but this is the first real push that I have seen Twitter make into live streaming professional sport. YouTube started with professional streaming and will shortly move into consumer / any user live streaming, whereas Twitter have gone in the reverse direction! The one thing this all highlights (again) is how far social media has shifted - it started with text, then moved to photo, then moved to video and now we are seeing more and more 'Live' going through social channels and Andy Roddick's Periscoping and the Twitter Wimbledon live stream are further example of this...enjoy!